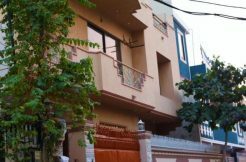 Bungalow for sale in Quetta. it is a new house with all facilities available. elegant design. marble floors good tile work. wood paneling. it is in Jinnah Town. jinnah town is on smaungli road in front of sui gas office. Jinnah town is standard location for residential houses. jinnah town has very good schools and other educational institutions.